Netherbeak flies in an erratic, high-altitude path around a wide swathe of Azsuna. It is stealthed and is only detectable by Track Hidden once it gets close. A good place to wait is to hover a distance above the temple on Rhut'van Peak. Netherbeak should eventually fly by and aggro to you. Then land on top of the building and tame away! Spectral. 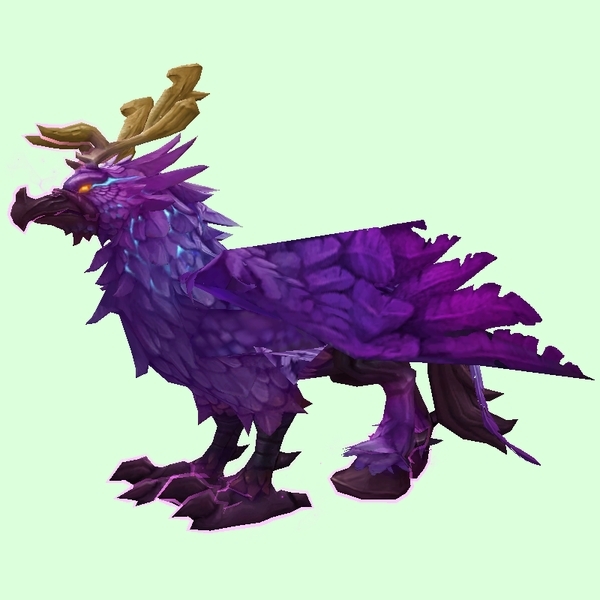 Only present during micro-holiday event, "Hatching of the Hippogryphs". Friendly until you hatch an egg, then hostile. Only present very rarely, on weeks when the world quest The Nighthold: Supply Routes is active. The hippogryphs spawn frequently during battle with Flightmaster Volnath.